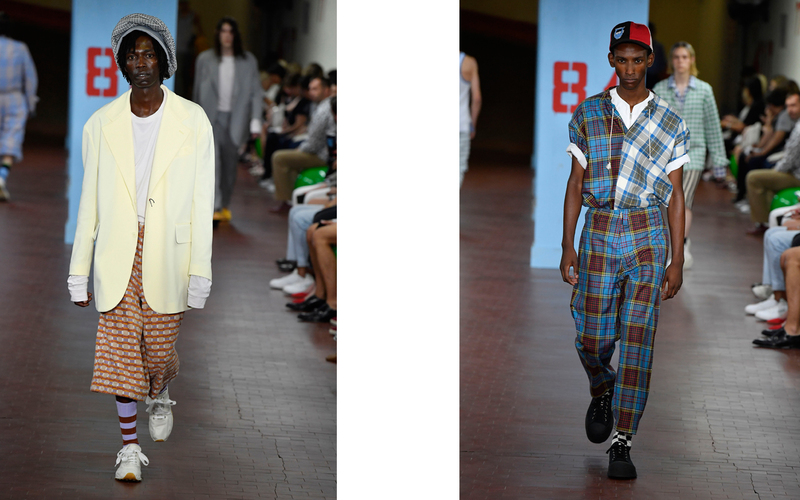 Men’s fashion is going through crazy times at the moment where the worlds of tailoring, sports, outdoor, active and street wear are one big melting pot. Oh yes, let’s not forget logos are back as well and all over. 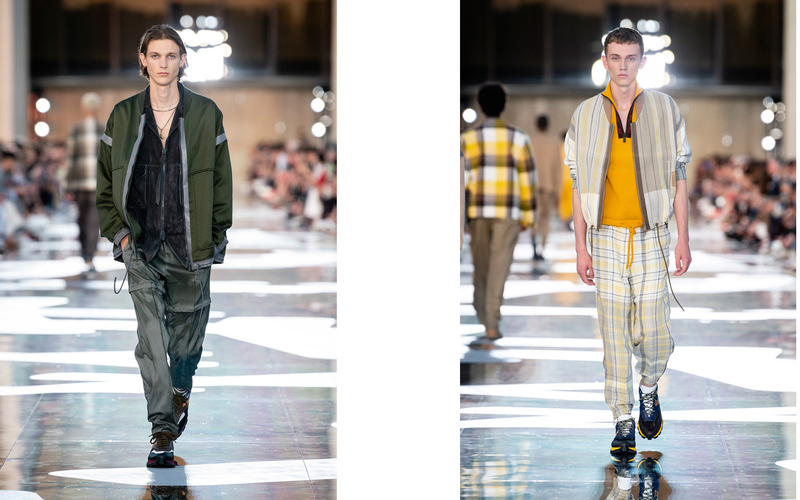 Follow our coverage of the new season where a beautiful Zegna Couture show kicked off the Milan schedule. And yes, this will be a few hard days, as many of the top show slots rival with the top game times at the World Cup in Russia. As Sepp makers, we are heartbroken. As I write this, I missed the second half of the Spain – Portugal match that was a spectacular 3-3 tie where CR7 scored a hat trick. Damn! Alessandro Sartori in his third year at Zegna is leading a remarkable turnaround. With him, the company has managed to stop declining sales and is in growth mode again. 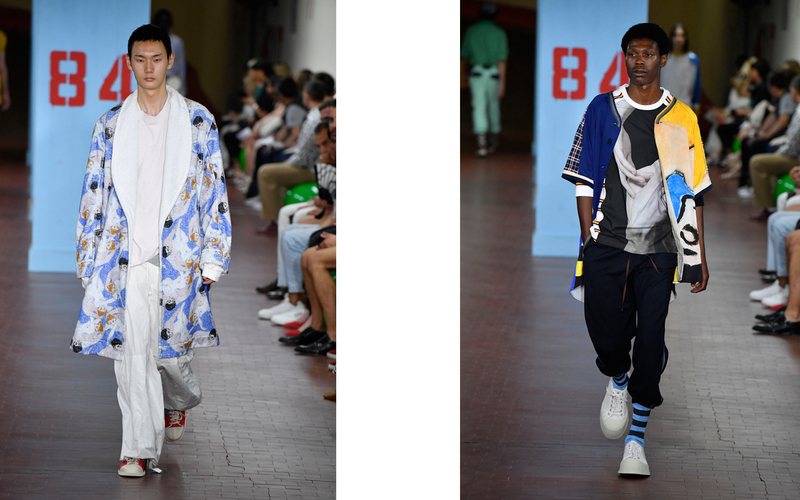 Better, Sartori is also the leader of the casualization of high fashion tailoring. 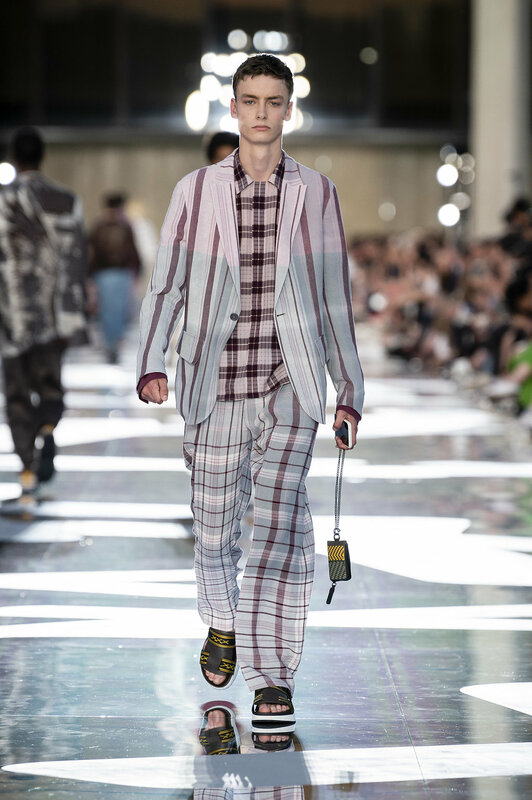 Already in his first show for the house did he bring out the luxe sweatpant on his runway and with last night’s show he has perfected his canon. 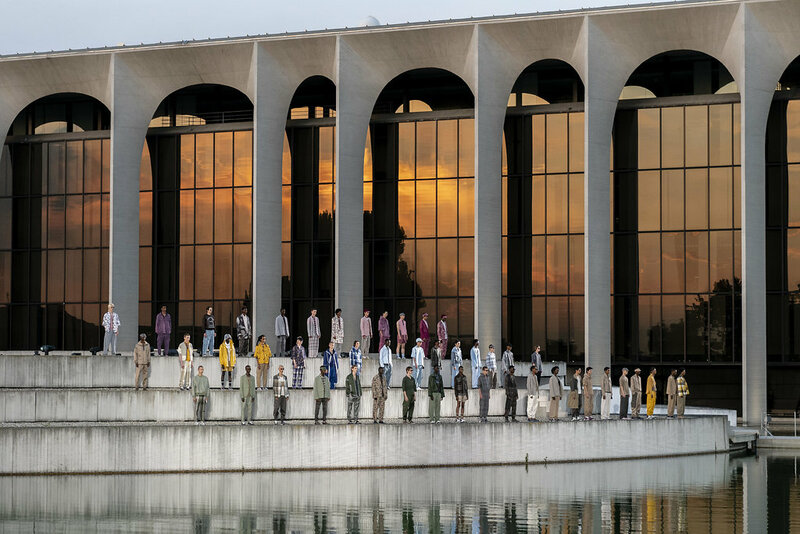 Shown at the breathtaking editorial headquarters of the Mondadori publishing house outside Milan built by Oscar Niemeyer in 1968 and completed in 1975, his outdoor Zegna Couture show on a warm summer night was a powerful statement in relaxed tailoring. 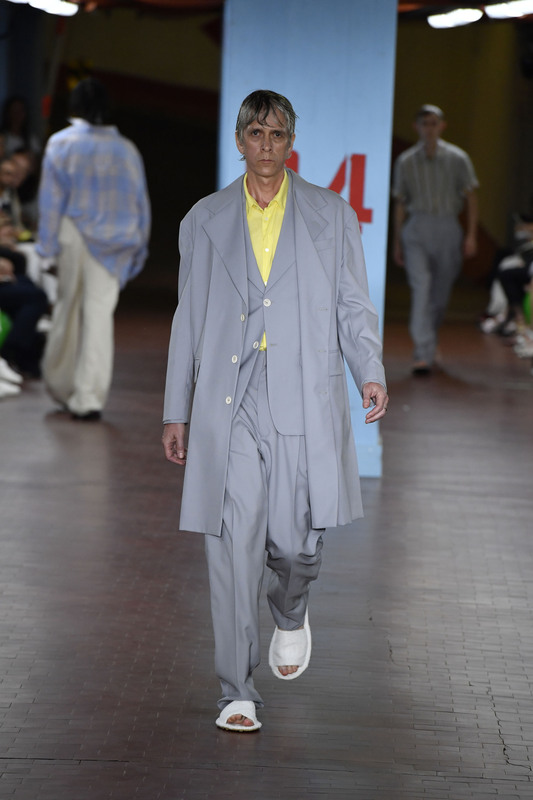 It even seemed that Sartori who has a knack for colors picked out the shades of the sky: rich faded oranges and pinks graced the horizon as the sun went down and the models floated on a mirrored catwalk. 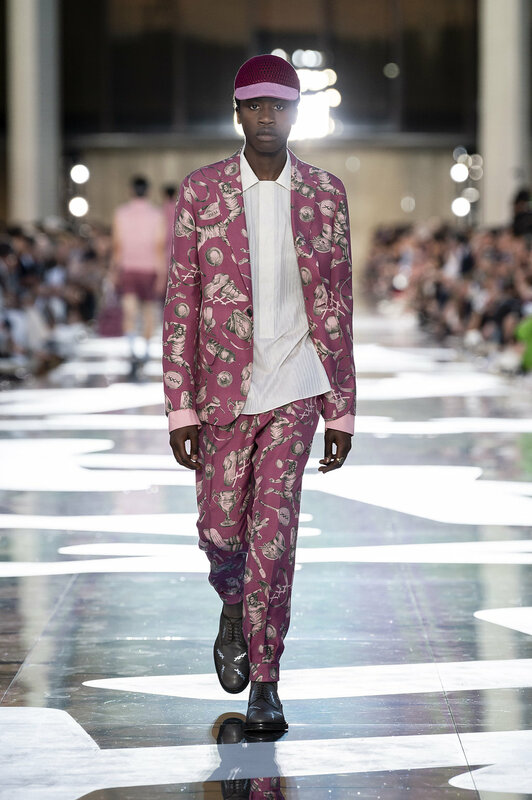 Sartori redefines the notion of what a suit can be. For him a bomber jacket and pants in similar fabric count as much as suiting as the traditional pairing of pants with a tailored jacket. 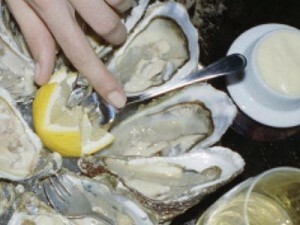 It takes four meters of length and one point five meters in width to cut a size 48 suit. Sartori used the power of his Zegna mills to maximum effect by cutting each suit from individual fabric units. Each garment is different in fabric idiosyncrasy. Case in point: a color faded, striped linen suit, which looked like it was patched together. Also, Sartori who generally likes it mean and lean has opted for bigger volumes in his unconstructed blazers injecting freshness. 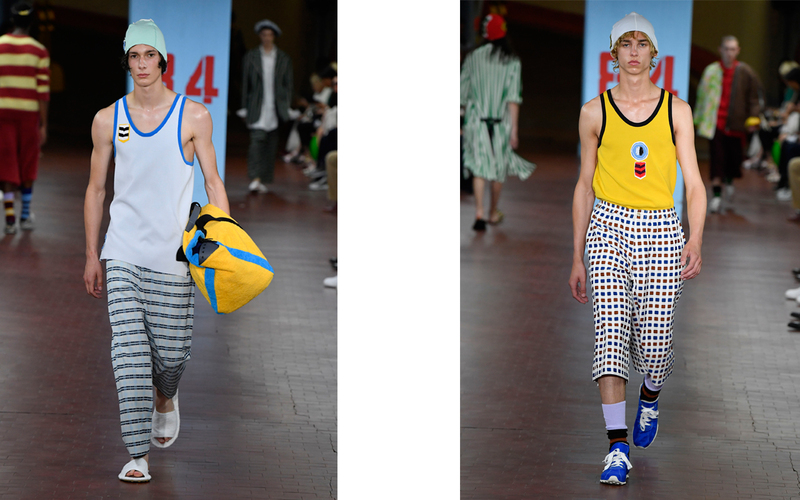 Sartori went playful with his prints and introduced a series of what he calls souvenirs. All images he used like a volleying tennis player were culled from his private image archive. 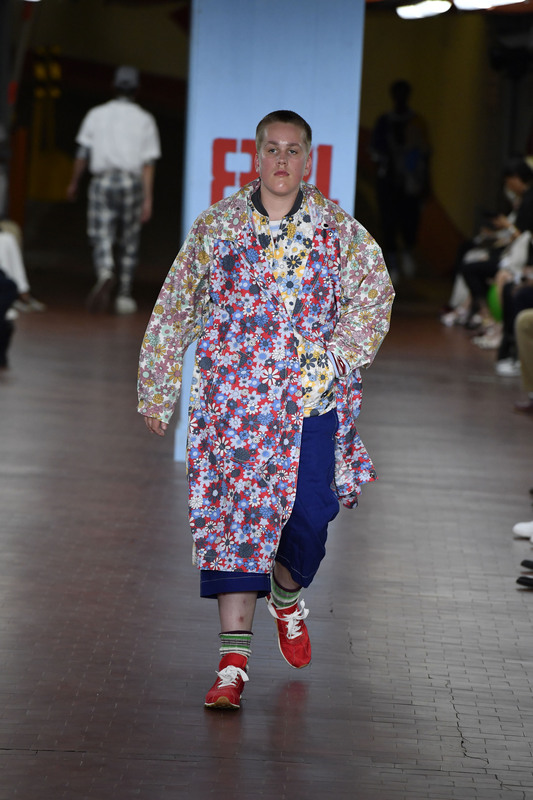 In our times of global fashion branding, a great collection is only the starting point as a show serves as precise message to the world via social media and live feeds. 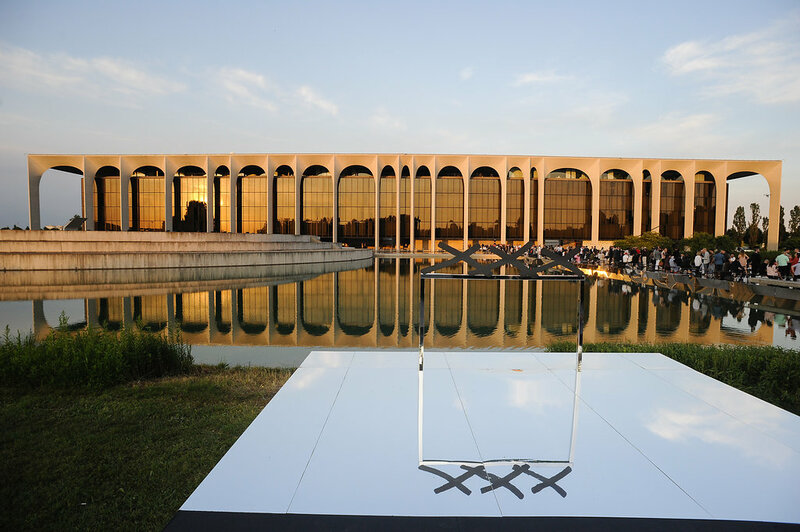 But Sartori managed to pull off a proper Zegna showcase tonight where the Niemeyer architecture, the fortunate weather, dreamy electro soundtrack and strong clothes all came perfectly together. 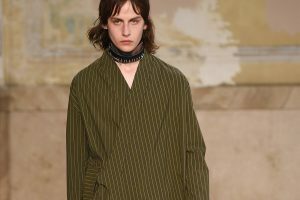 Francisco Risso and Lawrence Steele are determined to bring life and emotions into their Marni collections. “I could show this collection at my home if it was just about the clothes. No, it’s about having fun and being alive and only a show can transmit that” explained Risso post show. 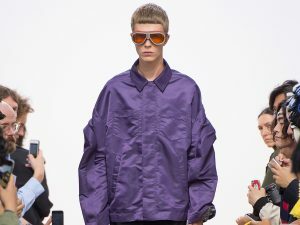 Cleverly taking the show out of its Marni home on Viale Umbria to change things up a bit and not fall into the trap that many other Milan designers with their custom-built show spaces have fallen into, Marni was pulsating with the energy of a fictional Olympic team cast of all ages and sizes. Clothes were sporty but still keeping a high fashion vibe with experimental shapes and unusual proportions. Leni Riefenstahl and Egon Schiele. Well, that makes us happy at Achtung Digital since we share their language but as a show concept it sounds high minded. Not in the hands of Risso, who managed to melt Schiele’s embrace of oddity and Riefenstahl’s sense for perfection into an opposite attracts moment. Risso has a knack for oversized garments that look just right. One of our favorite looks was a single-breasted, super long, yellow blazer with shorts, which looked oddly right. Also, his pleated and high waisted pants were spot on. Why this is worth to watch? 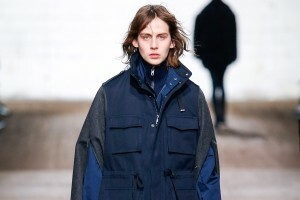 Marni is a company with Euro 170 Million in sales approximately. Not big but not bad. Risso and Steele have undeniable design chops but it will be interesting to see if they can also turn their highly creative vision into a commercial success. Nothing is more closely watched than the color of the tank top the coach is handing out for the final practice before a big match. Are you in the starting eleven or not? Risso accessorized many of his looks with these tank tops worn over elongated sweaters and vests to enhance his Olympic vibe. Risso and Steele are inviting their guests to an after show party where they propose to have a sleepless night. 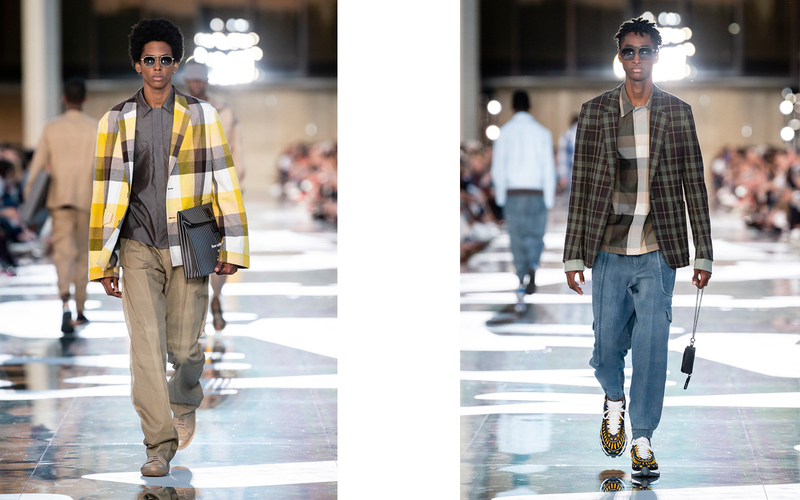 Considering the thin Milan show schedule, this might just be possible for some of the industry gang who no longer have to go to a Sunday morning 9am Bottega Veneta show.